Paige could have as many as 100 seizures a day. Severe epilepsy was destroying her physically and mentally until the family began to research and prepare a carefully tested regiment of Cannabis oil — and the proof is in the results: this little girl hasn’t suffered a seizure in nearly three months. Losing a child is every parent’s fear and when pharmaceuticals were failing Anne Malone’s then 2-year-old daughter, Paige, she decided to take medicine out of pharmaceutical control and into nature’s. Moving to a new home is usually a blessing, but a new change became a nightmare for this Bellingham family, who were exposed to harmful chemicals from methamphetamine contamination in their rental property. Within months, their healthy and happy daughter was suffering more than 100 seizures per day. They began to lose their daughter, both to the neurological effects of the seizures and the heavy side effects of pharmaceutical therapies. After years of medications and countless hospital trips, modern medical treatments were exhausted and the chances of Paige having a normal childhood dwindled each day. Faced with the decision of a lifetime, Anne took Paige to a naturopath that would authorize medical Cannabis treatments. Today, Paige is on the road to recovery thanks to Full Extract Cannabis Oil. As of print time, she was on her 86th seizure-free day. Without medical Cannabis and the support system of local providers, the recovery would have been impossible. “I want to tell everyone that will listen to this, I don’t want anyone to have to go through what we did,” Anne said, reflecting. June 13, 2013 started out as a normal day for the Malone family. They moved into a newer and larger house two months before, a duplex with granite countertops, hardwood floors and a big backyard. They were happy. Anne had started working after being a stay-at-home mom since Paige’s birth. That afternoon, Paige fell, as often happens with kids, but she was also acting abnormally and having seizure-like conditions. Anne’s husband, Patrick, called her, concerned and scared, and immediately took Paige to the local hospital. The hospital said it was normal for 2-year-olds to fall and connected the seizure to the impact. They were sent home without treatment. The next day, Paige had four grand mal seizures, which are now referred to as tonic-clonic seizures. Lasting up to four minutes, the seizures caused Paige’s eyes to roll back into her head with body convulsions, drooling, impaired breathing and intense physical pain. The family rushed her back to the hospital, where tests revealed nothing. She was sent home, promptly had two more seizures and was driven via ambulance back to the hospital for her first long-term 5-day stay. “We started noticing at that time that she was doing other funny things. She was falling a lot, which was weird and nobody knew what was going on. It was a type of seizure: myoclonic and drop seizures,” Anne explained. “Once again, we are discharged and she started having seizures every day. While the medicine initially helped, it took a turn, Anne said, as Paige developed other serious side effects worse than the original condition. Soon, Paige developed a fourth seizure type: complex partial seizures, which caused neurons in her brain to essentially freeze. She would stare off into space for minutes at a time, unresponsive, until her brain began functioning again. In all, Paige was diagnosed with suffering from five major types of seizures, although when she began treatment, she was only experiencing one. It became a seemingly endless cycle of new medications or upped dosages, brief periods of stability followed by increased symptoms and worsening conditions. The harsh reality is that the world keeps moving outside hospital walls. Anne had to stop working to become a full-time caregiver for Paige and the family welcomed a new son in 2014. They depended on family and friends to help with childcare so that Patrick could work, all while dealing with Paige’s worsening condition. Anne gave up breastfeeding her son to be with Paige, and the conflict between her maternal responsibilities was difficult. Paige couldn’t walk, and, with her falls, she had to wear a helmet and chinstrap at all times. She had to be carried. Paige was on countless medications and doctors feared the end was in sight. “We had other family helping with our baby, my husband working because I can’t, and me being at the hospital constantly. It was very hard. Hard for him not to be with us when needed, hard for me being stuck in a hospital,” she said. The pharmaceuticals had a health effect that was worse than her original symptoms, and the family thought they could do nothing. It was around this time that the landlord of their property started having neurological problems, and was sent to a doctor who suspected environmental causes. Although Paige had seen countless specialists, it was never considered that the cause of her seizures was in their home. The landlord’s doctor had the house tested by the health department, and the news was stunning. Chemical contaminants related to producing and using methamphetamine were 6,000 percent higher than safe levels. The last residents had rendered their home unsafe before they ever moved in. Researching online, Anne discovered that the previous occupants of the house were in prison on charges of manufacturing methamphetamine. The house had been sold to their landlord without notice. After the Malones left, the landlord paid to again have the place decontaminated, and it was resold later that year. Another family settled in. While meth houses are conventionally destroyed and quarantined, Washington state law does not require this. There are no federal standards for decontaminating or handling the houses either. Washington certifies decontamination companies, but disclosure is not required for sale of a home. According to the Minnesota Department of Health, producing a pound of meth leaves behind 5 to 7 pounds of chemical waste. The residue can cause many health problems including breathing issues, rashes, headaches, nausea and dizziness. With enough exposure, liver and kidney damage, neurological problems and increased risk of cancer. With hope and Western medical resources dwindling, Anne used what little free time she had to research alternative epilepsy treatments and decided to try medical Cannabis. Paige was authorized to begin medical Cannabis in January of 2015 and Anne immediately began searching through medical collectives in Whatcom County. The first three wouldn’t allow her to bring Paige into the facility, but on her fourth try, she met the patients behind Grassroots Collective. Using high-CBD flower from the collective, Anne made an ethanol extraction called Full Extract Cannabis Oil (FECO) and infused it with coconut oil. Each batch of FECO is tested for potency and the naturopath created a formula that calculates dosage based on test results. The end product medicine is a mildly sweet liquid coconut oil with a slight Cannabis flavor, and it was almost a pure cannabidiol (CBD) extract. CBD is a chemical found in Cannabis that has been found to successfully treat hundreds of conditions, including epilepsy. They started FECO therapy on March 17, 2015, and on the first day, Paige had fewer seizures. By the end of the first month, her tonic-clonic seizures had disappeared. The family was elated, and continued the medicine. After a few months, the medicine seemed less effective and her seizures returned. They went back to the naturopath, who recommended adding THC to the medication. While THC is known culturally for the psychoactive effects of Cannabis, it also has anti-cancer and anti-seizure properties, and is effective for most medical conditions CBD is used for. They started Paige on a minimal dose of 2.5mg of THC a day in June, and her seizures went away again. In July, she had her first streak of seizure-free days, 33, and the family began seeing the daughter they had thought lost. Paige was more cognitively present, laughing, playing with her brother and relearning how to walk and do normal things she couldn’t for almost two years. While Paige continued to have great results from Cannabis, finding the correct dosage was difficult. She would have a period of great results, build a tolerance and have symptoms return. In October of 2015, the parents switched Paige to an oil made with a 4-1 CBD-THC ratio, the highest dosage of THC they tested. Apart from a few flare-ups, Paige is the best she has ever been. Today, Paige is enrolled in a special education preschool program, and preparing for entry into regular kindergarten this fall. Anne credits Cannabis for saving her daughter and her family. With her daughter stable and thriving, Anne wants to spread the Cannabis freedom message. Looking for the perfect gift for the beer lover in your life? Look no further. Our Valentine’s Gift Boxes range from $45 – $65, with two different options for both men and ladies. Check it out! Get Randallized with Farmstrong Collab! Boundary Bay Brewery & Farmstrong Brewing Company recently collaborated to make the Sour Saison! Malts: Skagit Valley Malting’s ‘Alba’ and ‘Club Wheat’. It will be #Randallized with more French Tardif de Bourgogne hops. Brewer Bryan found a little bit of info on the French Hop. The first description I found… “A French hop, used as an aromatic in continental lagers.” Oh, come on! So, I kept digging and eventually found a little more information. It’s a true noble Strisselspalt variety grown around the Alsace region, the Eastern edge of France along the Rhine River, Germany, and Switzerland. Most likely, Tardif de Bourgogne was a rhizome clone someone selected from an old French land race with desirable brewing characteristics, as opposed to an intentionally cross-bred variety, or modern triploid experiment, for instance. Like many of the best aroma varieties, Tardif de Bourgogne contains a low percentage of alpha acids, only 3-5%, with relatively high humulene content. While it hurt to watch the Seahawks get the boot from the playoffs, I think I may have finally reached the final stage of grief: acceptance. There is still plenty of good football to watch this weekend. Let’s get to it. Seahawks v. Panthers: It was rough day for the 12s, but the Hawks kept us on the edge of our seats until the last possession. The first half was disappointing, to say the least. The Panthers dominated. Nobody could protect Russell Wilson. 31-0 at halftime…seemingly impossible for the Hawks to claw their way back into it. But, the rally and near comeback were impressive nonetheless. I strongly believe if the Hawks had 60 more seconds, they’d be playing in Arizona this weekend. There was a ton of hype and chatter coming into this game. The Hawks delivered too little too late. Perhaps most teams would give up being down by 31 points at halftime. Not the Seahawks, this team has gumption. This week, Richard Sherman said there is a lot to look forward to with this team. They’re special with a great core of veterans and promising young talent. Good luck keeping them out of the playoffs for the next five seasons. They will certainly be a fun team to watch. Packers v. Cardinals: Way more entertaining and closer than many thought it would be. It came down to the end. The game should have ended in the fourth quarter. Instead of playing coverage the Cardinals decided to blitz. And Aaron Rodgers made them pay. I don’t think any other quarterback can make the throws he did on that drive. Lucky for Arizona, Green Bay never had the chance to hold the ball in overtime, thanks to Larry Fitzgerald. Cardinals v. Panthers Bold Prediction: The aggressive play calling by Bruce Arians will exploit the banged up Carolina secondary. Arizona’s offensive line will protect Carson Palmer, and their defense will swallow up their rushing game, and punish Cam Newton. After being shutout in the second half against the Seahawks, the Panthers will be licking their wounds this whole game. Chiefs v. Patriots: As much as I hate to say it, the Patriots look great. Tom Brady got the ball out so fast that he neutralized the Chiefs outstanding pass rush. Alex Smith struggled to keep up with the pace of the Patriots offense. Andy Reid and Alex Smith really mismanaged the clock on the final drive. When your down two scores, you don’t use eight minutes in one drive, you must be more conscious. Steelers v. Broncos. The Broncos offense was pretty to watch, but the Steelers really missed their playmakers. Team leader “Big Ben” Roethlisberger was playing hurt. They were forced to take too many field goals when they need touchdowns. Their rookie running back had a costly fumble late in the game against, sealing the deal. Broncos v. Patriots: I picked Denver last week, but not this week. The Patriots will outscore the Broncos. Quarterback Peyton Manning simply won’t be able to keep up. Manning has thrown an interception in every game he’s been named the starter this season. That doesn’t bode well when you have the potent offense on the opposing sideline. Look for Brady and his two favorites, Gronk & Edelman, to rip into the Broncos. On April 25, life in Nepal changed drastically. A 7.8 earthquake and all the subsequent and ongoing aftershocks rattled not only buildings and hills, but also soul and spirit of the people. We want to take the time to thank anyone who helped raise money through the Prayer Flag Fundraiser or contributed in other way. Here’s an update on the Nepal relief and rebuilding effort. We’ve been working with a Nepali man named Jwalant Gurung, who created 3 Summits for Nepal. He created it as a way to benefit his homeland when he was a graduate student at the University of Washington. The combined efforts of 3 Summits For Nepal, Crystal Mountain Treks,Grand Asian Journeys, Crooked Trails and Jwalant Gurung’s personal contributors were able to raise 9,164,280 Nepali Rupees, equivalent to $84,678.57 in the United States. A team of professional guides from Three Summits, including Jwalant, supplied aid & relief materials to many remote villages severely affected by the earthquake. Jwalant Gurung, Boundary Bay GM Janet Lightner, and Pam Perry enjoy a summer day in the Beer Garden. With your help, the Prayer Flag Fundraiser was able benefit the relief effort in Nepal. In 2016, 3 Summits for Nepal will move their focus to rebuilding – both homes and schools. They’ve already begun rebuilding in the village of Singla. In the early months of 2016 the process will be spread to the villages of Bamthi, Yolung, Junbesi & Badel. When rebuilding the homes their goal is to make the homes much more resilient without compromising the traditional feel. This tragedy left headlines months ago, but there is still a need for support. Much of the funds raised were used in the relief efforts, leaving little for the rebuilding process. If you feel compelled to contribute please follow this link. Boundary Bay Brewery will be opening at 9:30 a.m. on Sunday for Gameday & Beer-To-Go. Chef Matt has prepared another delicious breakfast lineup: Breakfast sandwiches & burritos, cinnamon rolls and biscuits & chorizo gravy. Mimosas and Red Beer will be available too! Kickoff is at 10 a.m. Doors open at 9:30. The game will be shown on the Big Screen in the Taproom. The game will also be on in the Bistro. Jordan is our Resident Football Analyst. He is an avid football fan and has been to Boundary Bay’s Fantasy Super Bowl three times. As Blair Walsh lined up to make the game-winning field goal, I was already thinking about the reasons why we lost the game. The -6° F weather; the lack of offense through the first three quarters; A tipped pass by Russell Wilson resulting in a interception; a questionable penalty on Kam Chancellor. Walsh was 3 for 3 on the day and a 27-yard field goal is usually a chip shot for him. Ball was snapped, the holder placed laces in and Walsh shanked it so hard left, he could have played Andy Dufresne in Shawsank Redemption. The Vikings were so close. Instead, the Seahawks are on their way to Charlotte, N.C. to face the Panthers in the divisional round. Bold Prediction: Seattle beats Carolina in a close game: 20-17. Even though it’s the early game Sunday, I think the Seahawks and Panthers will be the most competitive and exciting game of the weekend. Both teams have stout defenses and run heavy offenses. No team ran the ball more this season than the Panthers. Quarterback Cam Newtown, former Heisman Trophy winner, is the Panther’s team leader and could very well be the League’s MVP. With the win the Seahawks will be off to the “toaster” in Glendale, Ariz. to take on their rival in the NFC championship. Bold Prediction: The red hot Kansas City Chiefs are reeling after their shutout against the not-so-good Texans who were worse than warm, flat beer. As much as I would like to see them knock the New England Patriots out of the playoffs, it just won’t happen. I have to pick the Patriots due to the return of Tom Brady’s favorite wide receiver, Julian Edelman. Plus, in my opinion, Andy Reid is notorious for poor clock management in the playoffs. As much as people say the Steelers are a sleeper pick no one wants to play, they are just too banged up. Big Ben, Antonio Brown, De’Angelo Williams are all injured. The Broncos defense is the real deal, plus Peyton Manning had an extra week to rest and game plan. I’m picking Denver. I hope Manning has one more shot at a championship before he finally retires. Bold Prediction: Green Bay Packers Quarterback Aaron Rodgers, former MVP, finally returned to that status last week. The football team from Washington never stood a chance once they Packers returned to their familiar form. But, they play the Arizona Cardinals. I’m picking the Red Birds all the way.When they last met on December 27, 2015 the Cardinals embarrassed the Cheese Heads 38-8. The Cardinals defense is just too good with their shut down corners and a very solid pass rush. Rodgers has been sacked more than any other quarterback this year. Look for Arizona to keep Rodgers on the ground. For the past 15 years, Boundary Bay employee Dottie Grantham, her husband and son, have helped Good News Fellowship to host the Annual Ten Thousand Villages Crafts of the World Sale. The 28th Annual Crafts of the World Sale takes place on 9 a.m. to 8 p.m. on Friday, Nov. 6, and 9 a.m. to 4 p.m. on Saturday, Nov. 7 at 1252 W. Axton Road in Ferndale. All items are handmade and fair trade from artisans in developing countries. 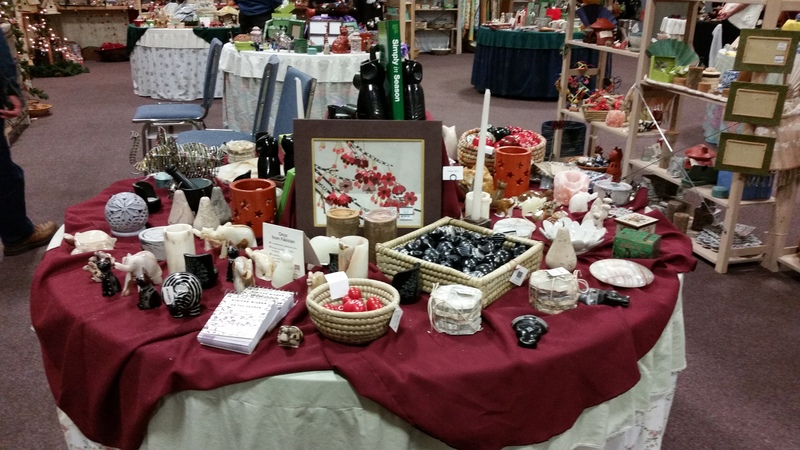 Items include tablecloths, jewelry, pots, lamps, cook books, baskets, scarves nativity sets and tons of Christmas decorations to name a few. 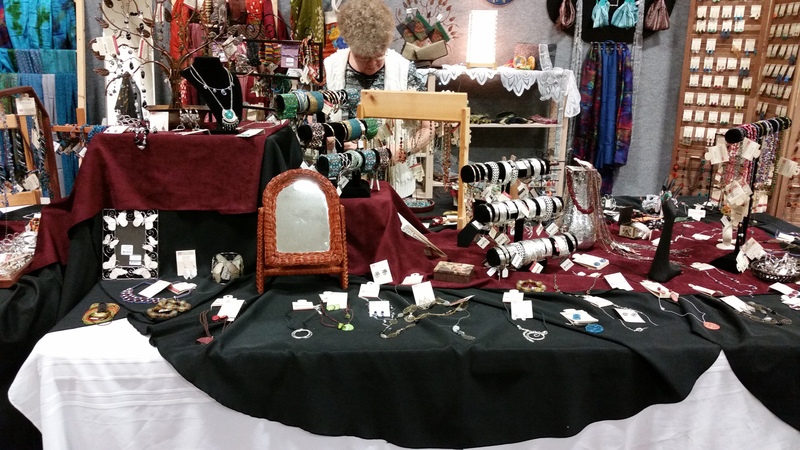 Fair trade purchases of handmade jewelry, home decor and gifts helps improve the lives of thousands of artisans in Asia, Africa, Latin America and the Middle East. “Helping others is the best part [of the event],” Dottie says. The goal of the sale is to help artisans in developing countries have the opportunity to see their skills lift them and their families beyond poverty to stability; with food, clothing, a roof over their head, as well as education and medical assistance. Another favorite part for Dottie is hearing the stories about how the artisans benefit due to the continued support of the organization. Ten Thousand Villages is one of the world’s largest fair trade organizations and a founding member of the World Fair Trade Organization, a global network of more than 350 fair trade organizations in 70 countries. 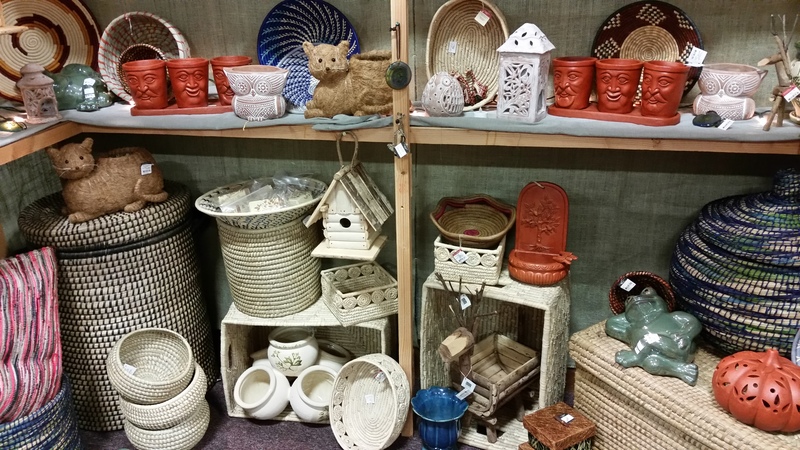 Ten Thousand Villages also is a founding member of International Fair Trade Association (IFAT) and a member of the Fair Trade Federation (FTF), both of which aim to improve the livelihood of disadvantaged people in developing countries and to change unfair structures of international trade. Ten Thousand Villages Vision: One day all artisans in the developing countries will earn a fair wage, be treated with dignity and respect and be able to live a life of quality. It’s not just about handmade items either. San Miguel Café will offer a place to relax with a friend and enjoy a delicious cup of Level Ground Columbian Coffee along with other homemade treats. They will also be selling 1 lb. packages of coffee. Proceeds from sales of Level Ground coffee and dried fruit support Famicafe, a Colombian non-profit providing education for the children of the coffee producers.